Ward 1 according to its description in the minutes of the Maple Ridge council meeting of 2 January 1895. The area described included what today are Whonnock and Ruskin. 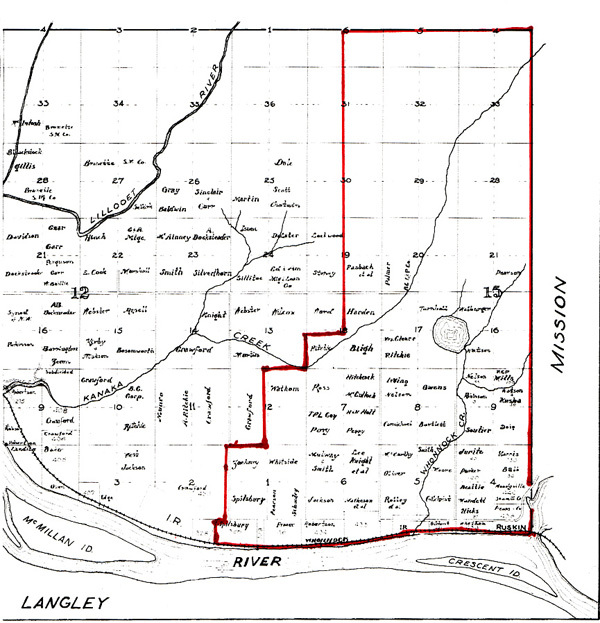 Shortly after 1895 Ruskin started its development into a separate community between Whonnock Creek, Stave River and the western border of the Municipality of Mission. In the 1960s the residents of Whonnock defined the boundaries of their neighborhood by going around and asking everyone to say in which community they thought the lived. The result was as shown above. To the east Whonnock Creek separated Whonnock from Ruskin. To the south is the Fraser River. To the west the line runs up 256th Street to 104th Avenue. On 104th Avenue east to 267th Street and following that street up to Kanaka Creek. The line then followed Kanaka Creek (Ferguson) and went north at 269th Street. In 1960s there was little development north of Dewdney Trunk Road. 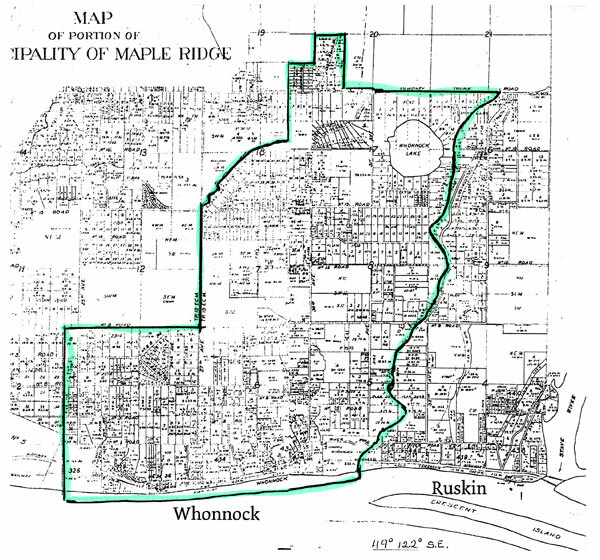 In 2006 the Maple Ridge Community Heritage Committee defined the boundaries of the historical communities and new neighbourhoods. 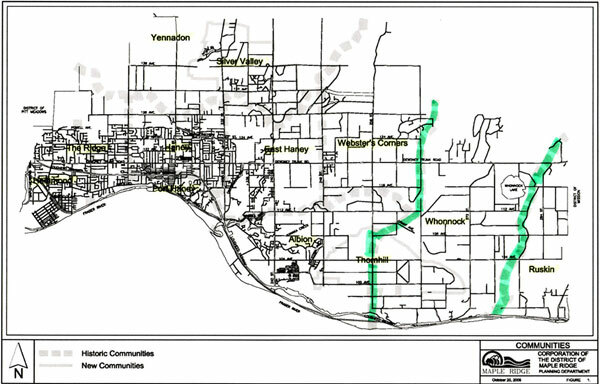 Between the green lines is Whonnock. Ruskin is to the right (east).